This message is to inform you that due to very low registrations, we unfortunately will not be able to have SPLASH for this year. We sincerely apologize for any inconvenience. If you already paid the registration fee, a full refund will be issued as soon as possible. Thank you for your understanding and we look forward to seeing you at future events. A Community Service Retreat for Junior High School Students! All students completing 7th and 8th Grade this year are invited to participate! 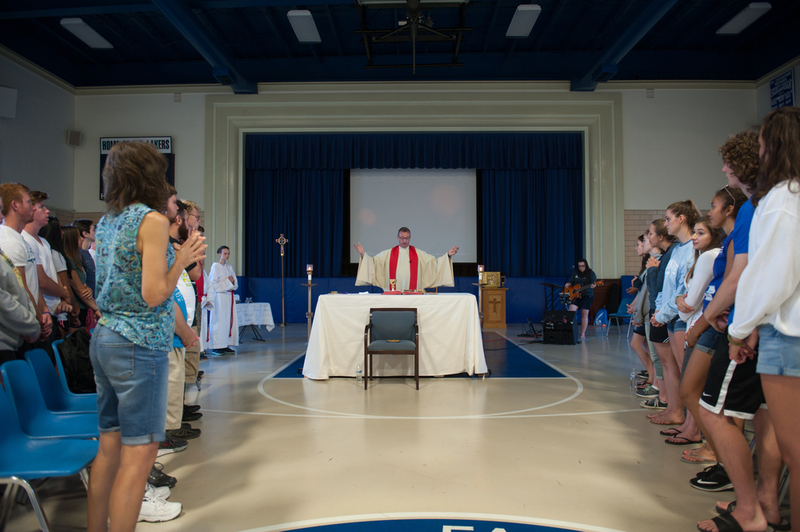 Our day will also include prayer, discussion, dinner, time on the beach, and end with the celebration of Mass. We strongly encourage each participant to eat Breakfast before arriving at St. Catharine School. Participants must bring a bagged lunch for the worksite. There will be NO SWIMMING at the beach due to no scheduled lifeguard after 4pm. ALL Participants (Adult and Youth) must complete a Medical and Constent Form found below in Splash 2018 Forms. A copy of each medical form will need to be given to the Dept. of Youth and Young Adult Ministries.